Plant diversity plays key ecological roles in forest ecosystems, including influencing succession, resilience and nutrient cycling. This study was conducted to investigate the effect of livestock grazing and human uses on herbaceous species diversity. 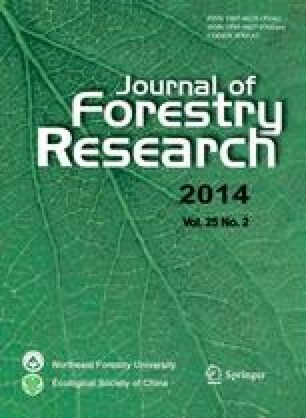 We surveyed 50 ha of protected area and 50 ha of unprotected area to evaluate herbaceous species diversity in oriental beech (Fagus orientalis Lipsky) forests in northern Iran. We calculated and compared three indices each of diversity and evenness, and species richness between the two areas. Herbaceous cover was higher in the unprotected area while leaf litter depth and tree canopy cover were higher in the protected area. The diversity indices, H (Shannon-Wiener index), N1 (McArthur index), N2 (Hill’s index), EQ (Modified Nee index), Evar (Smith-Wilson index), E5 (modified index of Hill) and R=S (species richness) and species richness R=S were greater in the protected area than in the unprotected area, suggesting that protection from grazing results in increased numbers of plants and species. The effect of land protection on plant diversity was more pronounced for evenness than for species richness and the positive correlation between diversity and evenness indices was higher than that between diversity and richness. An erratum to this article can be found at http://dx.doi.org/10.1007/s11676-014-0514-6.